Made to impress. Projecting Brand Identity Aesthetically and Memorably. 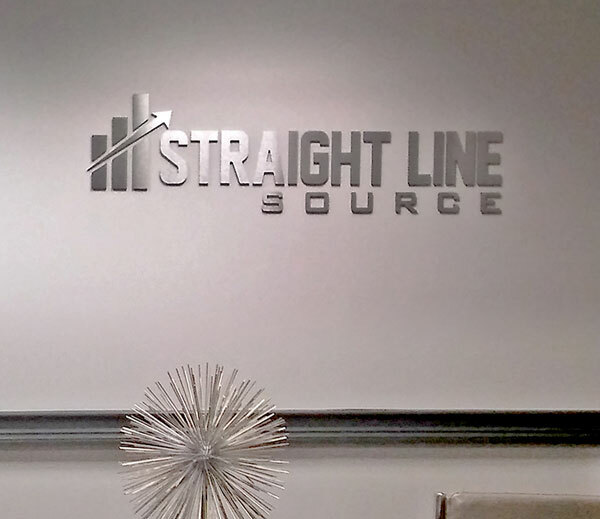 Custom signage, tailored for the premises, presents the corporate logo and projects your brand identity to impress newcomers and employees alike. This convinces the former to become customers, while instilling the latter with confidence and pride in themselves, their workplace and their organization. Some details can be abstract yet crucial. What kind of vibe or attitude do you want to give off? Indoor signage doesn’t need to be quite as durable as their outdoor counterparts, but they must be tailored to match the aesthetics of their surroundings. 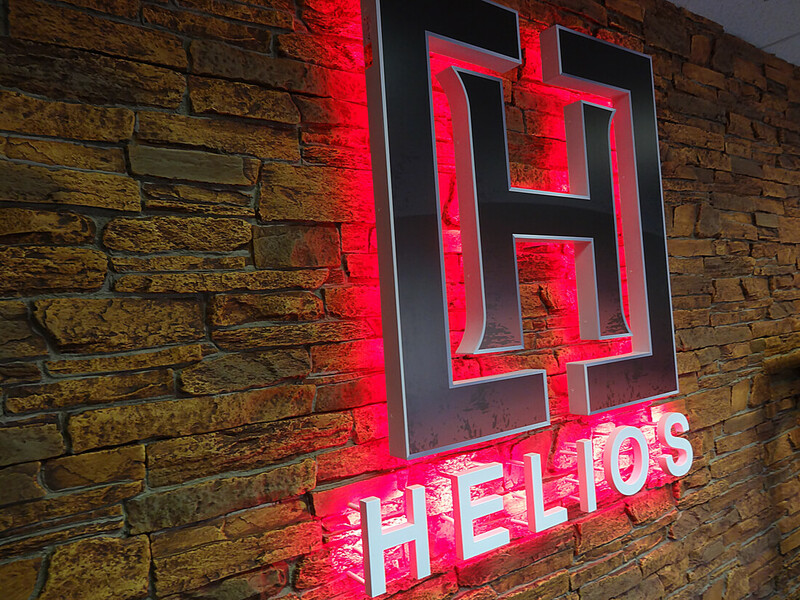 What’s the interior of an establishment like, and does the sign go well with the color scheme, lighting and furnishings of the office? What type of business is it and what identity is the brand trying to project? What is the specific area for — is it a hallway, an office or a meeting room? Some details can be more abstract yet crucial, such as the kind of vibe or attitude the owners and the employees want to give off. These all play a part in determining the design, materials and final appearance. What’s Your Sign Made Of? The bread and butter for signage, composing logos and lettering. Acrylic is a lightweight, shatter-resistant and durable polymer that can be fabricated in a vast variety of shapes, sizes, colors and overall designs. It can even be as transparent as glass. So a sign can be made mostly of acrylic while having sleek-looking opaque surfaces as well as transparent parts, and even metallic-looking components. A row of logos is revealed on each floor as elevator doors open. We use this for sandblasted signs, with the base material cut sawn and routed to specified sizes and shapes. Vinyl is is usually used to mask or coat areas that won’t be sandblasted. We select the kind of sand that will give the proper texture and density, and then we blast away! The process requires a protective booth, and afterwards the work in progress is painted. All this ensures the right mix of texture, shape, and color matching in the final product. And of course, it’s as durable as it is beautiful. Resin thermoplastic that’s tough as nails while weighing half as much as glass. The shatter and impact resistant material is more flexible and heat-resistant than acrylic. It can also be drilled without cracking. Its high temperature threshold makes it ideal for the paneling of illuminated signage. Select a sign finish that goes with the decor of the room, while elegantly representing the brand. Aluminum and stainless steel can be brushed or polished, and laser cut to form corporate logos, dimensional lettering and more. The results are visually impressive and highly durable at the same time. To save weight, the interior of the sign under the aluminum or steel surface can be mostly acrylic or even foam. A sign can have sleek opaque surfaces as well as transparent parts, and even metallic components. Specifically PVC, or polyvinyl chloride if you want to be scientific. It can be rigid or flexible depending on the density and thickness. The former is used for sign boards and panels, or even cards and menus. The latter can be used for banners and graphics, like lettering or logos that can be placed on surfaces like glass, walls, tables, and anything else you can think of. Vinyl’s very lightweight which makes it perfect for tradeshow signs. It’s easily stored away when not in use. Not a material per se but more of a method. Hand-painting has a special touch. Like a cheerful mural for a restaurant, something really artistic for a studio, or colorful backdrops for daycare centers and classrooms. It might seem simple, but the results can be as intricate and impressive as the imagination permits. Reception areas are where signage can impress visitors and potential customers up close and personal. That lobby sign positioned above or near the receptionist’s desk conveys the purpose of the company or organization and show its professionalism. Signage must be styled to match the organization’s specialization, products and services as well. All of these reinforce each other and represent the totality of the brand. Lobby signs can be sleek and metallic or made with glass and synthetic materials, projecting that modern look for newer organizations. Establishments with history can go for dimensional signage with a classical look. If the area has subdued lighting, then the letters or logo can be illuminated to make it stand out even more. 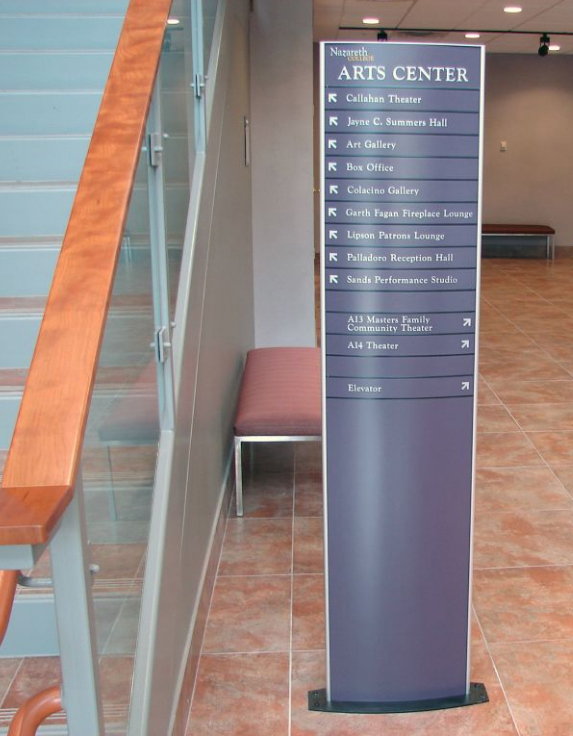 Directory signs help people find their destination upon entering your building. These signs help guide people to where they need to go. So they must be functional and consistent, in the case of property managers accommodating multiple tenants, as well as offices where rooms have specific purposes. The signage must reflect the nature of the shared venue. At the same time, they can be subtly distinct. For example, plaques might feature each tenant’s unique logo, but the general design elements and the plaques’ frames can be uniform. Additional features like braille can also make these accessible for those with special needs. The indoor signage needs of bars, cafes and restaurants are considerably less formal in style than that of corporate offices. Yet the craftwork and detail that goes into them is on par, of course. Establishments can come in a wide range of “moods,” from family friendly diners to coffee shops and restaurants with high end cuisine, and the signs used must convey this. They must also display information, such as menus to promos. 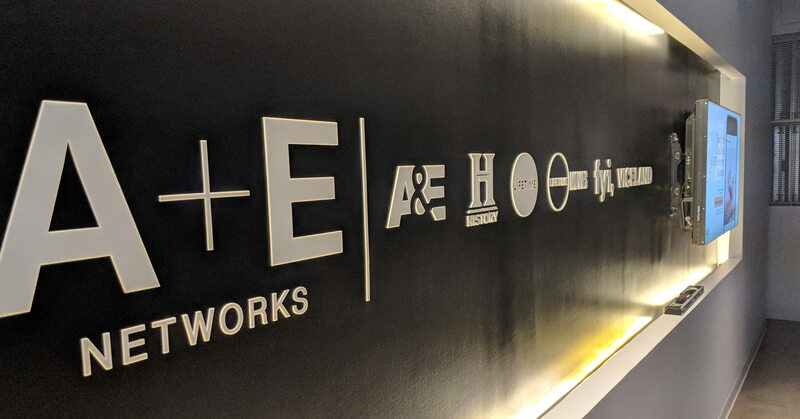 If an establishment already has a centerpiece indoor sign, then wall graphics can serve as a complement and add to the overall aesthetic and brand identity. This type of sign can also stand on its own, while being lighter and easier to manufacture and other more “solid” signage. That’s the magic of vinyl graphics; they can just be placed on a surface like stickers. If the area has subdued lighting, then the letters or logo can be illuminated to make it stand out even more. Got sales or promos? Seasonal specials? Highlighting a new product or celebrating an anniversary? Vinyl banners and acrylic boards are great, lightweight sign options for boutiques, shops and restaurants. These spread the information around, get people talking, and turn them into customers. 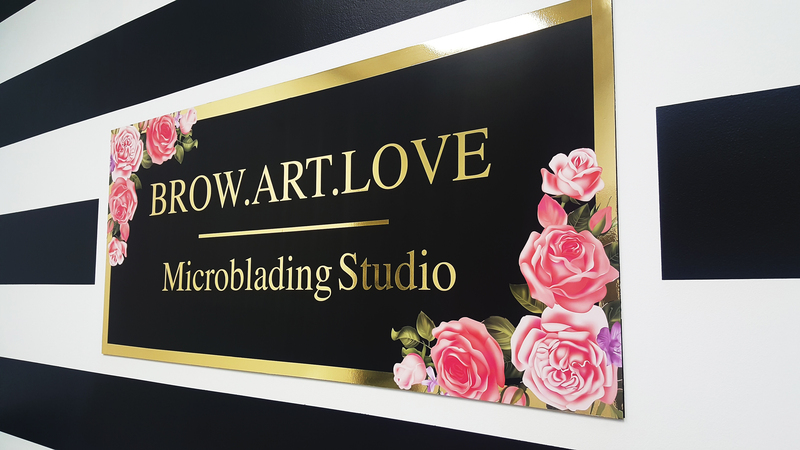 Other types of indoor signs, like window graphics and wall art, can add to the establishment’s aesthetics while boosting products and services. If a place is visually interactive and nice to be in then people will definitely come back! LEDs cast a dramatic halo effect on faux stones in this Islandia NY lobby. Plying your wares at an expo or convention? A bare booth won’t get any attention. Everyone else will be bringing their convention signage A-game, so you’ve got to step up too! For this, vinyl banners and pop-up signs are excellent since they are lightweight and can be quickly folded up for the next show. Custom signage, like 3D cutouts to photobooths and detachable components people can pose with can be real eye-catchers. Interesting selfie-magnets can get you free publicity — imagine the pictures in everything from magazines to Instagram posts! 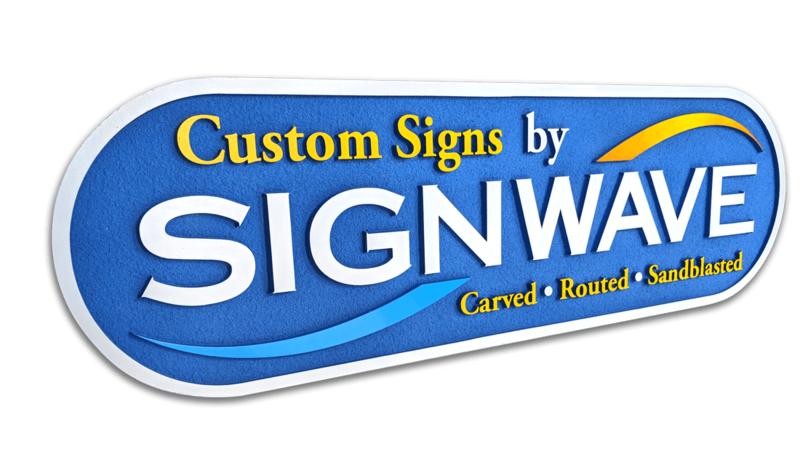 These are just some of the custom indoor signage options available from Signwave. Whether it’s for decorating corporate lobbies, retail stores or restaurants, even trade show booths for entrepreneurs on the go — we’ve got what you’re looking for. We’ll make sure your sign will be tailored to your specifications and made to stand out from the rest. Got inquiries or need further information regarding our products and services? Have a few ideas or suggestions on new signage? Go ahead and contact us.